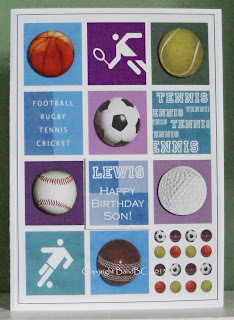 Bright and Breezy Crafts: Those dreaded cards...cards for men/ boys! 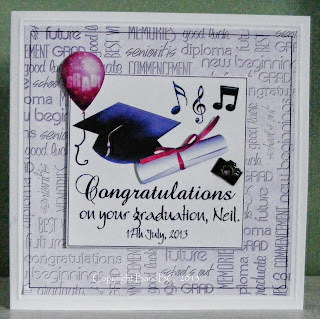 some males... music, sport & graduation. 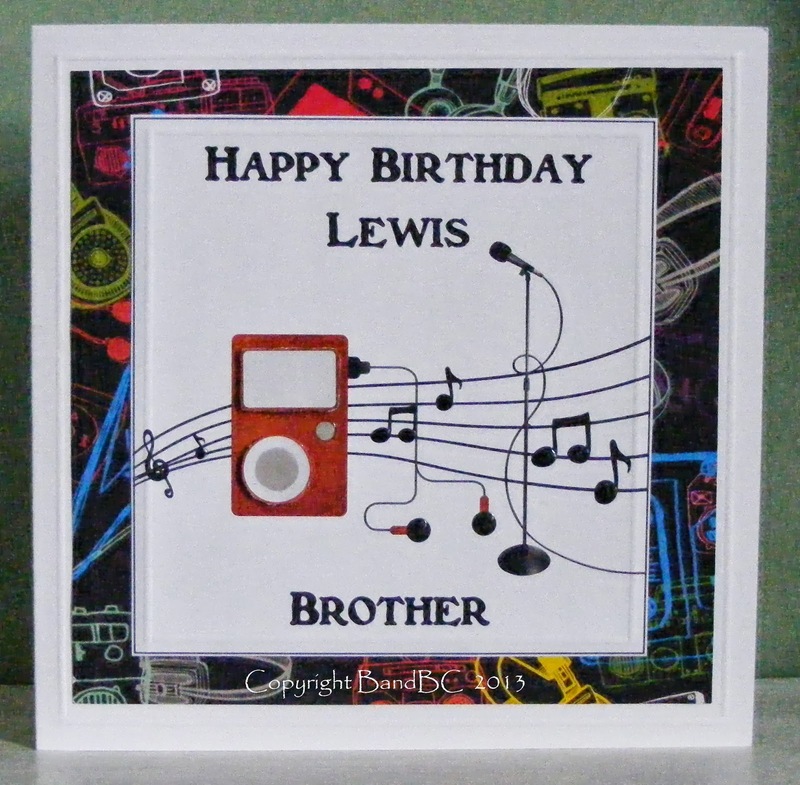 First up, is the music card...for Lewis. I decoupaged the ipod and used glossy accents on the window and button. The music and the microphone were images on my pc that I have had for ages. 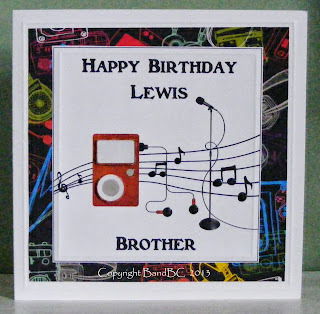 It's covered in music stuff...drawings of guitars, hifis, stereos, headphones, allsorts! 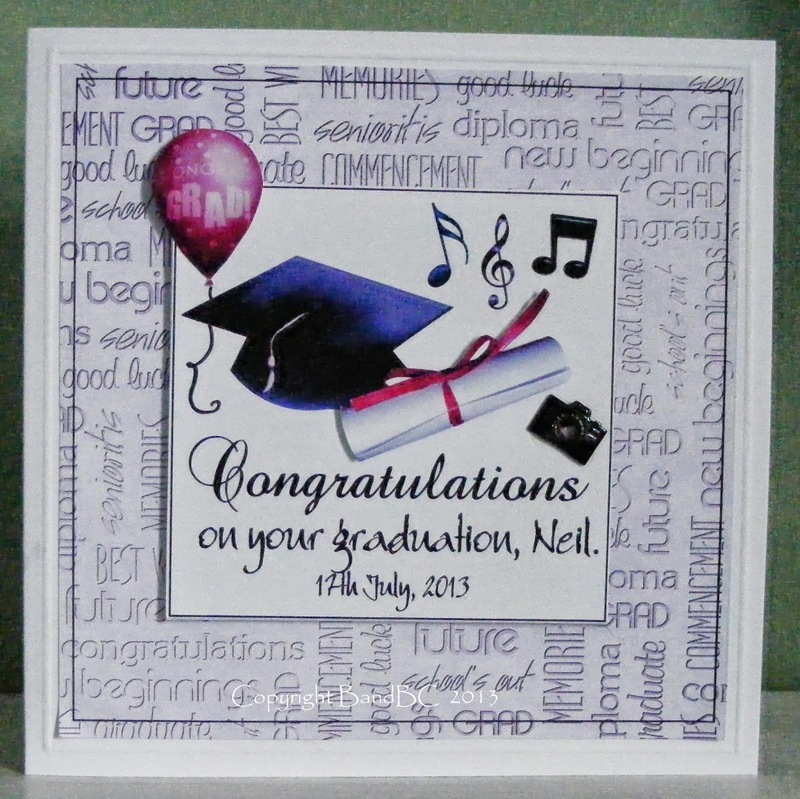 A bit of dry embossing round the edges finished this. Good ol' wrapping paper again! Can't believe I have only just thought of buying it to use on my cards! Think this one cost me 20p for the sheet...and I could prob make about 10 cards from it! so that they stand out from the page. I twiddled about on the pc to make the sentiment on the blue square. I'm quite pleased with this one! Finally, this one was made using some of my pc images, and backing paper. and tried to make sure the sentiment looked like it could be handwriting. I popped on a brad in the shape of a camera. 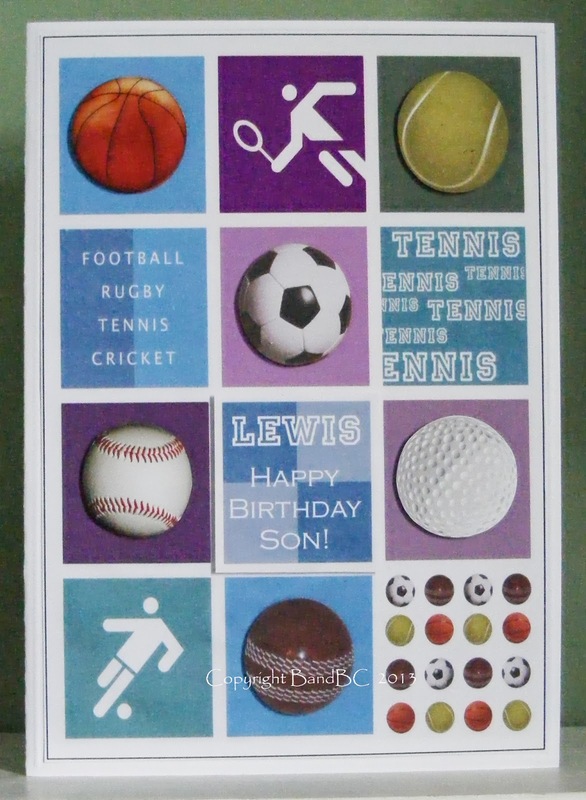 love all three cards but the first is awesome .Love the coordinating paper ,and image .Great masculine creation .Thanks for sharing on Make it Monday . Great male cards, I particularly like the first one, too.